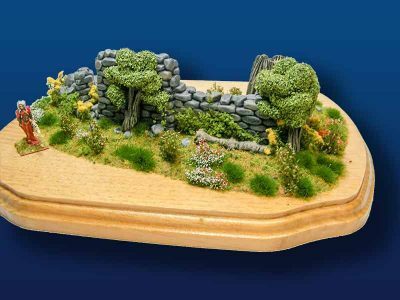 The sets come with a base–again, already fully painted–with three trees in either green tones in our Summer Tree Set, or in red, orange and yellow in the Autumn Tree Set. 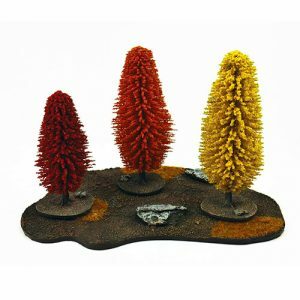 Both come with corresponding flock to use on the base if you choose to. 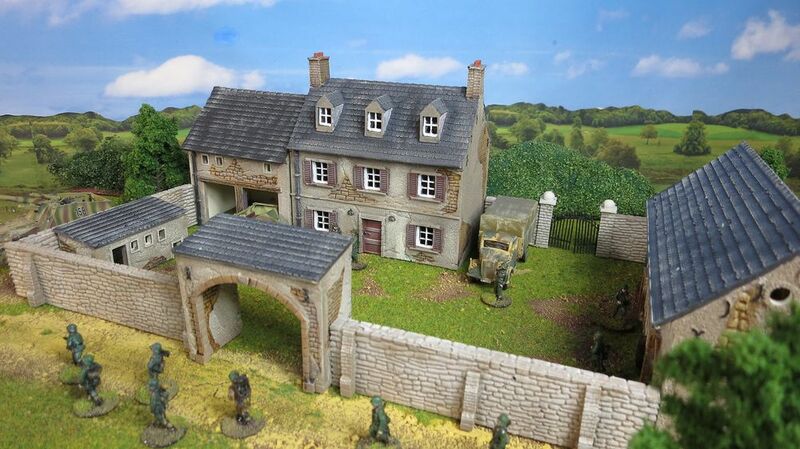 These sets are perfect for a wide variety of miniatures games and easily make your table look fantastic. 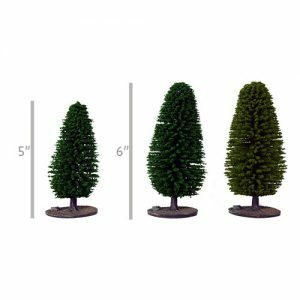 We’re also offering a special introductory offer, you can purchase two tree sets for $50, saving you $10 over the price of buying two sets individually! Grab yours, today. 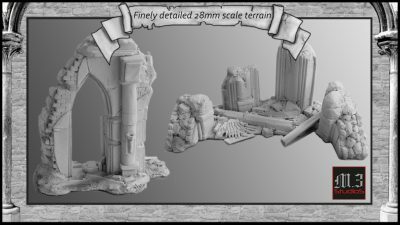 M3Studios is proud to present its first Kickstarter project, featuring the hallowed ruins of a holy world, engulfed in a cruel war. 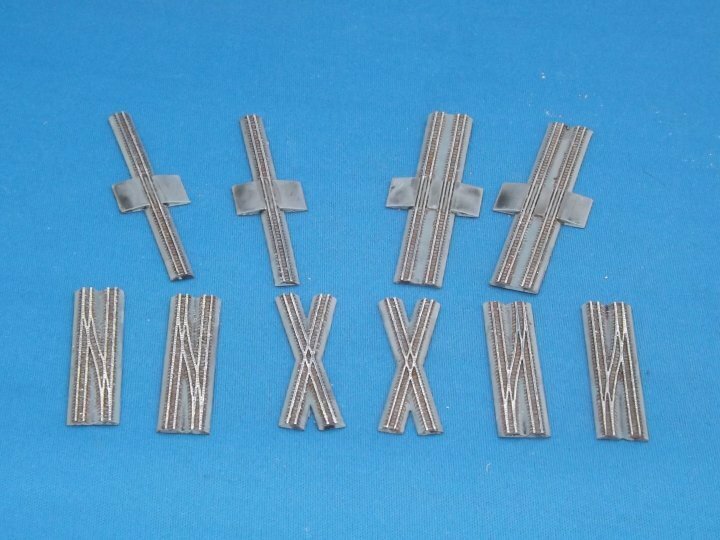 The terrain pieces are scaled at 28mm to fit most tabletop wargames. - The Chapel of the Saint: a sanctuary acting as a line of defense as well as a symbol of hope for the defenders of the wretched world, which includes the Arch of Triumph and the Exalted Sanctuary. 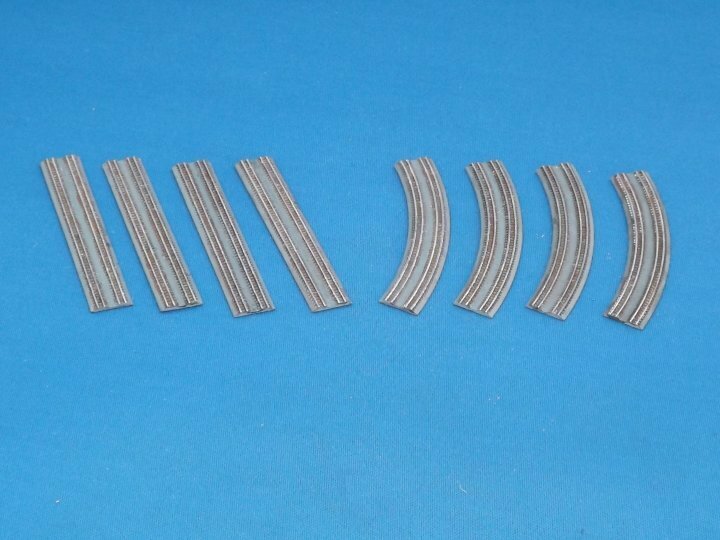 Today we’re expanding on the railway options available in our Small Scale Scenery range, with two different engine sheds and some new track types. 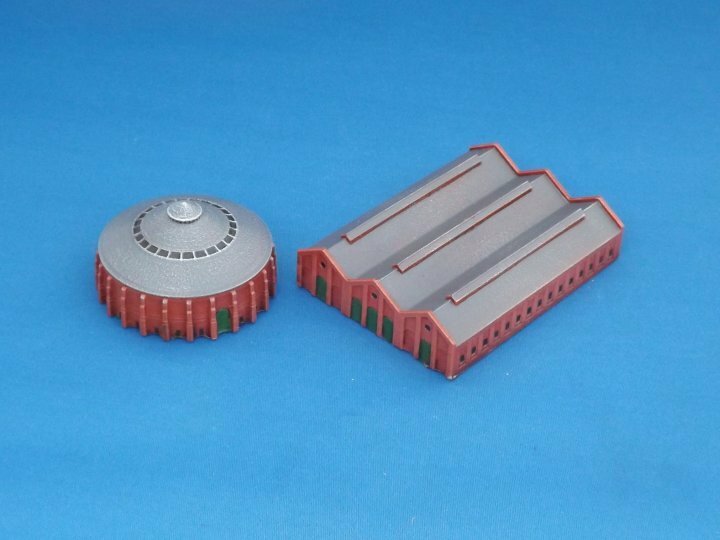 One engine shed is a large (250 scale feet long) three-span rectangular shed, the second is a more distinctive circular one based on the Camden Roundhouse in London. A huge subterranean mine complex. 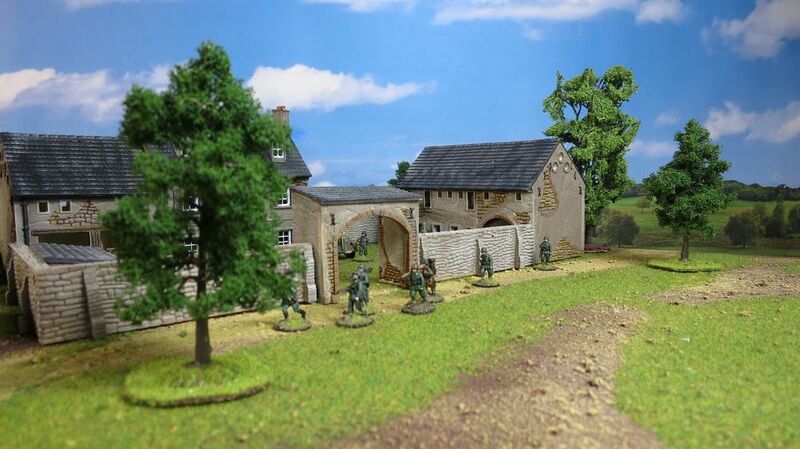 The entrance consists of loading areas, mine carts and guard rooms. One passage leads to the supervisors office and quarters, as well as the barracks for the Drow guards. The other passage leads to the large cavern where slaves are kept in rough cells. The main part of the mine has tunnels, wooden platforms for mining the cavern face, and tracks for removing the ore. Beyond the mines are the caverns of the Underdark, filled with strange fungi and dangerous creatures. 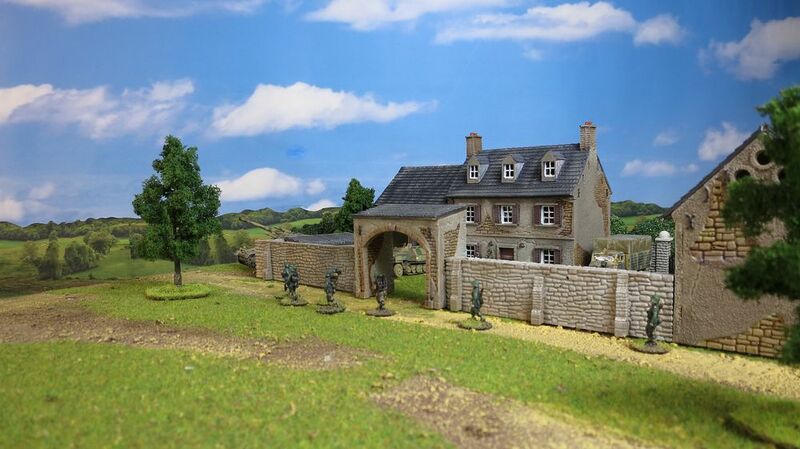 Scenery has always played a vital part in Flames of War. 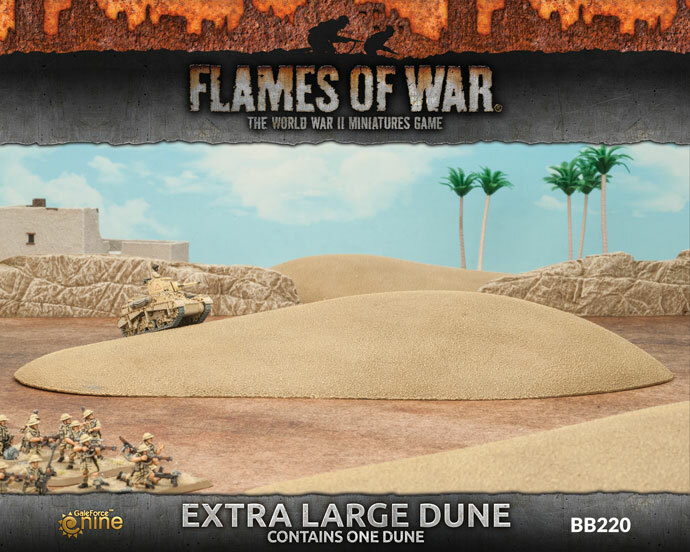 With the pending release of 4th Edition and the return to the desert for Mid-war, we've taken the opportunity to refresh our range of Battlefield in a Box desert terrain. These naturally occurring hills of loose sand are built up by the wind and can take a manner of different shapes and sizes. 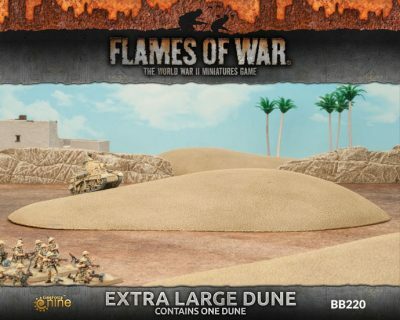 To the forces serving in North Africa, they can provide concealment from the enemy or a much-welcomed break from the Sun. 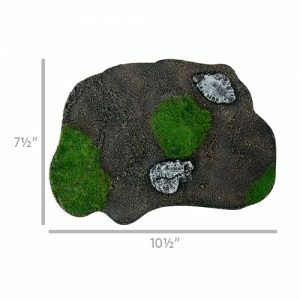 The Gaming Mat Industrial Ruins is a PVC or CLOTH made rollable terrain mat, ideal for wargames, in size 4x6’ (122x183cm), 4x4’ (122x122cm), 3x3’ (92x92cm), 3x6' (92x183cm), representing the scenery a desolate industrial area, now in ruins. 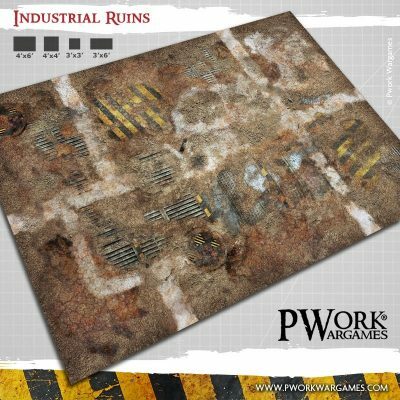 The Gaming Mat Industrial Ruins offers the possibility of setting battles between armies of miniatures among large industrial plants and the ruins of abandoned structures and containers. 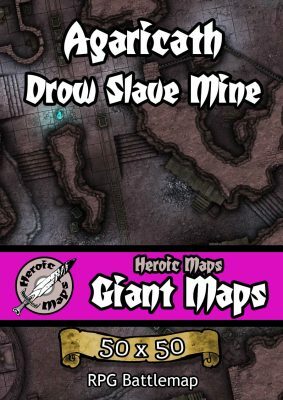 The mat is a perfect Science-Fiction setting for futuristic game plays, and also for steampunk locations! Are you ready to battle?